I started personal training in 1999 as a very part-time trainer and officially made the commitment to full-time training in 2004. 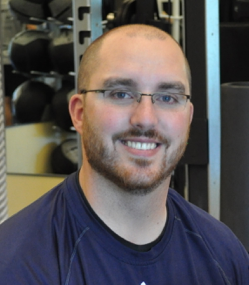 After working as a floor supervisor (gym attendant) for three months, at a fancy country club, I was granted permission to start working as a full-time personal trainer. My first official client was a 51-year-old female who was a two-time masters downhill ski champion. After 40 years of skiing with no injuries, she blew her knee apart in a freak accident. Being faced with the massive challenge of working with someone who was severely broken was well outside my comfort zone (and my scope of practice), however, I really enjoyed working with this client and wanted to aid her in any way that I could. Although I was going to school at the time to earn my bachelor’s degree in kinesiology, my experience with sports injuries was limited. I had to invest a great deal of time into researching this injury and educating myself as much as possible to make my training with her a success. After consulting my physical therapy mentor (who also happened to be my client’s PT) and my client’s doctor, we created a six-month training program designed specifically to help reinforce my client’s knee and get her back into action. We spent half of our daily session implementing our PT’s program to get her knee soundly strong and then other half on core and upper body work to maintain her general fitness. She successfully returned to skiing 18 months after her injury, and fourteen years later, this same client still trains three days a week with me. During this time, she has become an avid cyclist and has completed many 100-mile rides. I didn’t know it at the time, but this was the start of my journey to find my specialty of working with older (aging) adults. 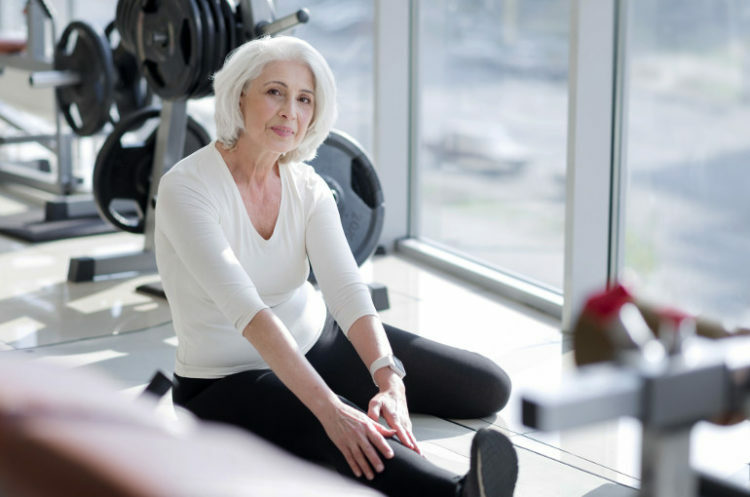 As I continued to gain older adult clients with different physical limitations, I re-invested myself every time to learn about their specific injury or limitation in order to build them a strength training plan for success. To this day, after collecting all the data I can from my new client during the initial interview and consultation and the outline from our physical therapist, I return to my office to research, design and create a program specific to their needs. Over the last 14 years, working as a full-time trainer in Sacramento, I have built a clientele of 72 clients that train with me two to three days per week (semi-private small group training model). Of my 72 clients, 14 of them have been with me since year one! This is the greatest compliment a client can pay to me—staying committed to my program for a decade and a half speaks volumes about how much they value our training together. The reason I’m telling you this is that my dedicated clientele of 14 years all started with me in their 50s, so they are now 65 to 75 years old and are beginning to experience some physical limitations, hormonal changes, life challenges and changes that alter the way their bodies respond to their training. Arthritis, osteoarthritis, osteopenia, bone degeneration, inflammation, low back and/or sciatic pain, medial meniscus and/or patellar pain and shoulder joint impingements tend to be the most common fears, injuries or onset of symptoms that we see with the older populations as they age. I’m not a doctor or a physical therapist, but that does not keep me from having a very good understanding of these limitations as the majority of my clients either currently have these issues or have a high potential of experiencing them in the future. Learning about these limitations, what causes them, what helps prevent them and what can be done to counteract them as a client ages and trains in the weight room are of high importance for me and the quality of programming that I do for them. I consider myself a member of my client’s health team, partnering with their physical therapist, dietitian, behavioral councilor doctor (medical staff) to assist the client in pursing their optimal health and achieving their fitness-based goals. Working with my 14 tenured clients over the years, as well as those who have joined me along the way, has taught me volumes about working with this demographic and I would love to share some of that information with you. The fear of injury, or further injury, is constantly on the mind of the older adult client. Rightly so, as injury occurs often with older demographics. However, the fear of a “quality-of-life-altering” injury strikes at the heart of many older adults as they may have witnessed friends or family members who have experienced a similar fate. For the purpose of this article, I’m going to discuss the benefits of resistance training on the body in relationship to joints, ligaments, tendons and muscles and will exclude information on physical limitations like cancer, heart disease, dementia, etc. although research has shown resistance training to be extremely beneficial for these issues as well. Shoulder disorders (typically from improper or limited use). In addition to these three joints, there are two diseases, osteoporosis and arthritis, that older adults are concerned will pain and/or discomfort into their bodies as they age. Acquiring and/or the fear of acquiring these physical limitations and diseases are worries of the majority of the personal training clients that I work with on a weekly basis. The average age of my clientele is 63 years old and every single one of my clients has some form of a physical limitation or disease that caused them to initially seek out my professional assistance. 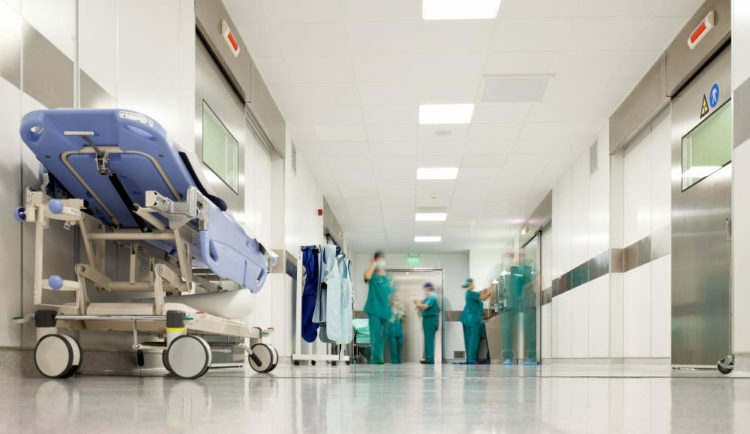 Often, I’ll have a client tell me about a friend or family member who recently fell and hurt themselves or who is scheduled to have surgery due to an injury that resulted from an accident. After a short discussion about the massive benefits of their resistance training program their minds are put at ease and I can see some relief start to come over them. The fear of injury, the fear of not being able to take care of themselves or, even worse, having to rely on someone else to do things for them is very inspiring for many of my clients. They are not bursting with joy at the idea of coming in to resistance training with me every other day however, they know how important it is to maintain or improving their quality of life. We have a saying in our gym, “Movement is Life,” and we live up to that saying with every workout we design for our clients. There is often an underlying trust from the un-injured client who believes their personal trainer will NEVER put them in a position in which they may get hurt. If they don’t share that mindset, they have the mental mindset that they are simply too tough or unbreakable, as they have never experienced any injuries to this point in their life. On the opposite side of this coin is the older adult who has learned the lesson of injury already. The currently or previously injured client, often an older adult, has their guard up against any and every exercise, movement, load or task we ask them to participate in, as trust and value in our skills have yet to be earned. To earn their trust, they ask us one simple question, “Why?” They might ask it in many different ways but don’t be fooled, they are asking with the purpose of testing our knowledge base and to see if we possess the skills needed to help them achieve their goals. Our answers to these questions will determine if they will agree to participate in that moment but also, if they agree to participate in the long run. We had better have a well-educated and appropriate answer for them at a moment’s notice or all bets might be off. There HAS to be (and very well should be) a why behind every exercise, instruction, cue and program we create for our clients. The why should be specific to our client’s goal(s) or be a requirement of safety or proper mechanics to ensure they are moving correctly. Over nearly two decades of training, I’ve made it a regular occurrence to reinforce my client’s goals during my answer to their question of “Why?” as this act personalizes my answer to them. I want to place an emphasis and bring attention my reasoning: what I’m asking of them directly benefits them and what they want to achieve. My “lifer” clients have been there through it all. The 14 “lifer” clients who started with me from the very beginning and are still training with me today two to three times per week. Their work ethic is stronger than ever and I (and my newer clients) witness their loyalty and support every day. From waking up in the hospital after a surgery to a group of my long-time clients’ faces, to bringing us meals in our home after our child was born, my clients have faithfully been there for me. 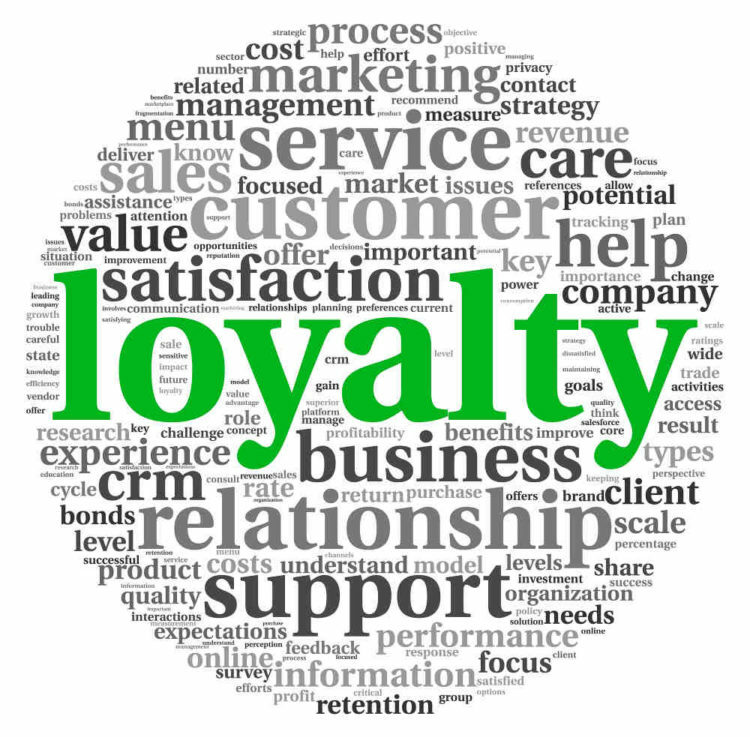 Not only does this type of loyalty encourage me to stay on top of my game and continue to deliver a high-quality product to my people, it builds a reciprocal loyalty to my clients that is time-tested. If one of our clients loses a family member or a friend, we are there for them. If a client tears their achilles playing basketball or has an emergency appendectomy we are there in the hospital with them when they wake up. If a client has a fundraiser, we donate to their cause and are there to support them when they need us. The reason I tell you all of this isn’t to impress you, it’s to impress upon you (that’s a Alwyn Cosgrove quote, I love him, by the way, great coach and mentor) that our “lifer” clients are more than just a component to our business. They are part of our “circle of trust” (Meet-the-Fockers, anyone?) and we are graciously welcomed to be a part of theirs. The typical personal trainer keeps an client, on average, for three months whereas our average client gives us just over three years due to our effective emotional connection developed over time. We establish trust and showcase our value every single time we have the opportunity to work with our clients. There is a professional mindset that understands fear as a motivating factor for the older adult client, that can always provide an answer to the question “Why?” and that shows great value to the loyalty that is developed between the older adult client and their trainer. It’s my professional suggestion that personal trainers working with older adults should learn from their clients’ experiences, empathize with them and try to understand and see fitness from their point of view. In my experience, it’s that mindset that keeps them coming back year after year as a lifelong client.